The most recent edition of the Crime Stoppers television program “Hawaiʻi Island’s Most Wanted” highlights a 42-year-old man suspected of three thefts from elderly victims and two men wanted on bench warrants. The new episode begins airing Friday (November 2). In it, police ask for the public’s help in locating 42-year-old Nicholas Stevens, who is suspected of contacting elderly women at their homes in Hilo and Kona, persuading them to hire him to repair their driveways, collecting money in advance and then failing to complete the jobs. He is described as 5-foot-9, 166 pounds and balding, with a thin build and a tan complexion. He may be in Hilo or Kona. The television program also asks for help in locating a 27-year-old man wanted on three bench warrants. Albert Aukai Manners is wanted on a $15,000 contempt of court warrant for failing to appear in court for a hearing on eight criminal charges, including driving under the influence and assaulting a police officer. He is also wanted on no-bail warrants for violating terms of release on bail in an assault case and a domestic abuse case. He is described as 5-foot-8, 155 pounds with brown eyes and short black hair. He has numerous tattoos on his neck and chest. His address is unknown. 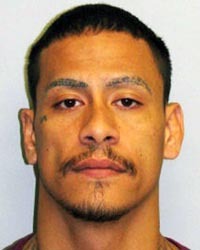 In this latest edition of “Hawaiʻi Island’s Most Wanted,” Officer Patrick Menino also asks for help locating a Kaʻū man wanted on four bench warrants with bail totaling $200,000. Mario A. Espino is wanted for contempt of court and violating terms of probation relating to convictions for theft and auto theft. He is described as Hispanic, 5-foot-2, 130 pounds with brown hair, brown eyes and tattoos on his arms and back. He is most likely in the Ocean View area.